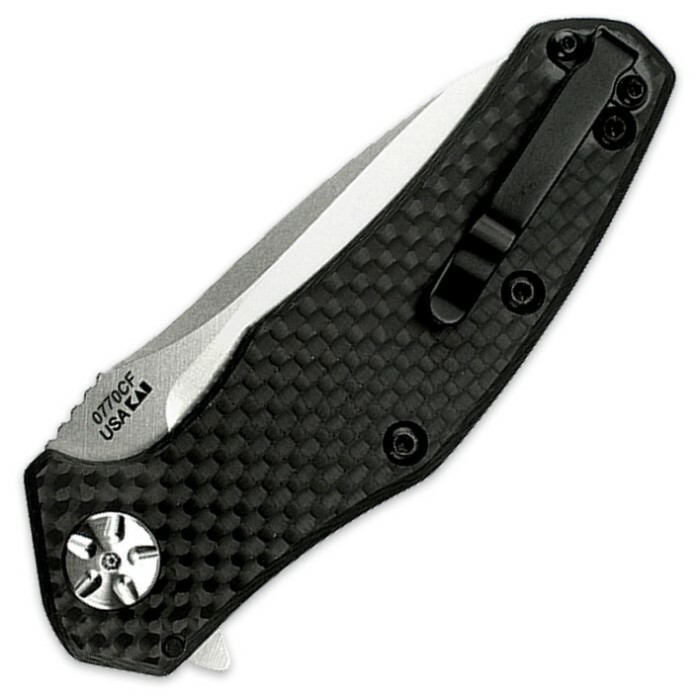 Zero Tolerance 0770CF Assisted Opening Carbon Fiber Folding Pocket Knife | BUDK.com - Knives & Swords At The Lowest Prices! 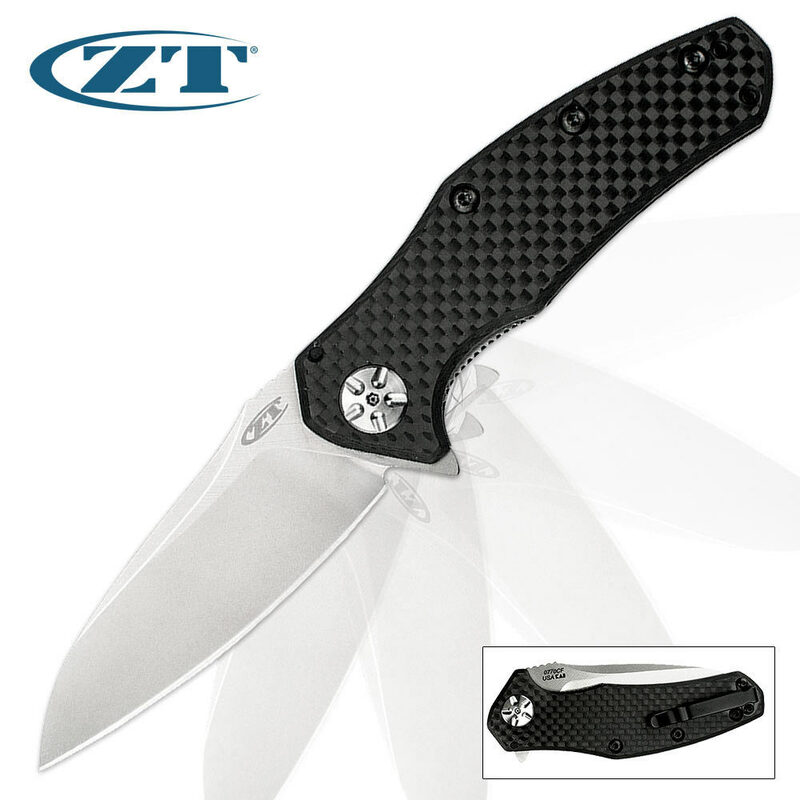 This award-winning Zero Tolerance design is back for more with a new and improved design on a slightly smaller scale. Powered by the top-quality SpeedSafe assisted-open mechanism, the ELMAX powder-coated stonewash steel blade is razor sharp with excellent edge retention, strength and durability. The lightweight carbon fiber handle offers a superb grip with a sturdy liner lock mechanism. It's an ideal knife for a premium, lightweight everyday carry.